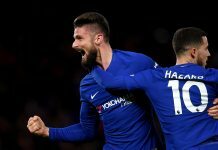 Chelsea travel to the Etihad to face table toppers Man City tomorrow probably more in hope than expectation, as they look for a result that will keep their title aspirations in check. Defeat will leave the Blues six points behind, which although not sounding like a lot at the start of February, will be difficult to claw back with City the form team in the country, if not Europe, right now. Pellegrini’s men have come on leaps and bounds in recent weeks, as emphasised by their 5-1 win at Spurs on Wednesday night; the same evening Chelsea drew a blank against 19th century West Ham’s wall of steel.City’s League home record reads played 11 won 11, with an astonishing 42 goals scored. Bayern in the Champions League group stage are so far the only team to beat them there, but if anyone can stop that run you’d have to fancy Mourinho’s Blues, who before Wednesday night were on a seven game winning run themselves. Chelsea have performed well in the big games so far, and of course beat City at home 2-1 back in October. They have however been quite conservative when away at Arsenal and Man United, both of which were 0-0 draws and also played on Monday nights, which is not historically the Blues most proficient day to play. Many of the Blues faithful will be delighted to come away from this one with a point that will keep them in the hunt. Chelsea’s defence, who have improved in recent weeks and kept three consecutive clean sheets away from home in the Premier League thus becoming the official tightest in the league, will have to be on top form to stop City’s potent attacking threat, despite the loss of top scorer Sergio Aguerro, who joins Nasri and Garcia on the treatment table and is out for a month. No team is yet to keep a clean sheet at the Etihad this season, and even without Aguerro, City have an embarrassment of riches up front with Negredo (23 goals this season), Dzeko (17) and Jovetic, who has hardly had a chance to show his talent but scored off the bench on Wednesday, all eager to step up to the plate. Chelsea are still crying out for attacking talent as prolific and with Torres still out, it is likely Eto’o will lead the line again. Following his hat trick against United, there were hopes he’d finally found top form, but he looked lacklustre in spells against both Stoke and the Hammers. He is yet to score away at all and Paddy Power as so confident he won’t on this occasion that they’re offering money back on all bets if he does. Ba, who came off the bench late last time out, has found chances hard to come by, but was retained in the January transfer window. It is highly likely that the Blues striking force will be reformed in the summer now, with Eto’o and Ba likely to depart. It is perhaps a natural wide man that the Blues are craving as well though, as the crossing from wide areas, particularly from Ivanovic and Ramires, both not naturally wide man, was slightly below par. It is the two pivot positions in midfield that are hardest to predict. Mikel and Ramires started there in midweek, but will Jose give Matic, who looked composed and constructive against Stoke, his first league start? 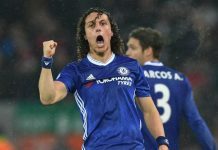 There is also a chance a rested Luiz could be drafted in to that defensive midfield position, and it may be that Ramires is pushed into the attacking three, as he has been in big away games previously. A now fit Lampard is also vying for a place, and could be drafted in if Jose looks towards the need for his big game experience. New boy Salah could be included, but may not be up to the pace yet, having only trained with his new team mates on a couple of occasions. Our third January purchase Zouma, is one for the future and has been loaned back to St Etienne. City failed with a double bid for Porto’s Mangala and Fernando on the last day. Chelsea will of course visit the Etihad again 13 days later for an FA Cup 5th Round clash, but if the Blues could choose one of the two to win I’m sure the majority would go for this one and despite Mourinho maintaining we won’t win the title this season, many will see that as a smokescreen and continue to hold optimism that a good result in this one will set up a frantic and exhilarating last few months of the campaign.